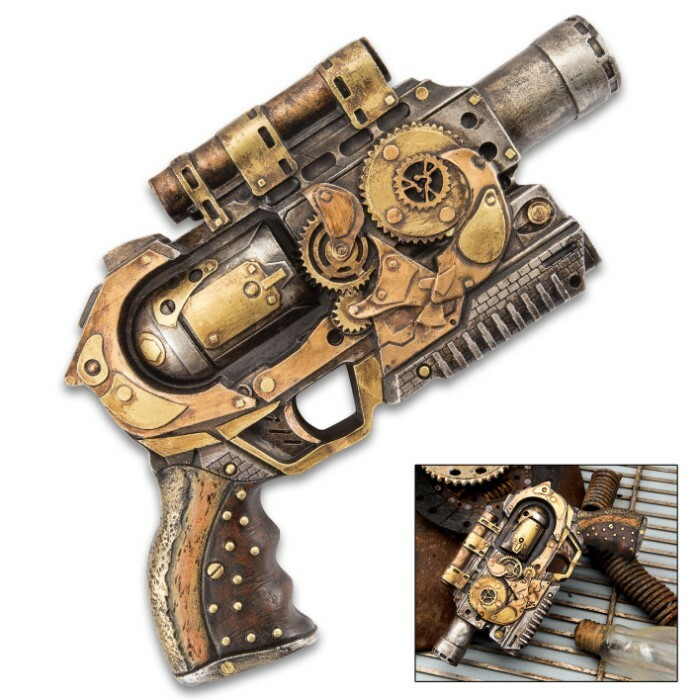 Quantum Cannon Steampunk Display Revolver - Polyresin Sculpture - Home / Office Decor, Mantle, Bookcase, Shelf, Man Cave, Bar, Desk - Pistol Revolver Handgun Neo Victorian Futuristic Sci Fi - 10 1/2" | BUDK.com - Knives & Swords At The Lowest Prices! 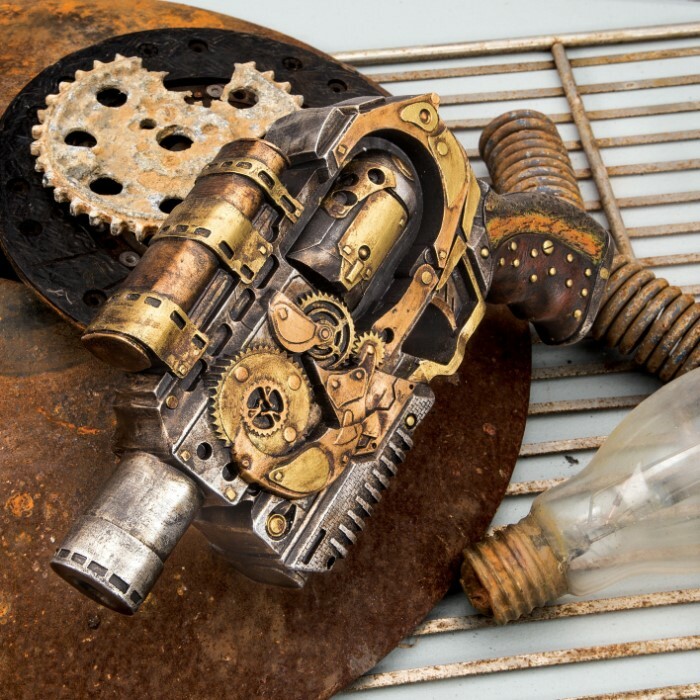 Quantum Cannon Steampunk Display Revolver - Polyresin Sculpture - Home / Office Decor, Mantle, Bookcase, Shelf, Man Cave, Bar, Desk - Pistol Revolver Handgun Neo Victorian Futuristic Sci Fi - 10 1/2"
Undeniably unique and brimming with hip steampunk flair, the "Quantum Cannon" may not fire bullets, but it's a force to be reckoned with when it comes to style! This distinctive decor piece dresses up any otherwise drab space - office desk, living room mantle or bookcase, bedroom shelf, man cave wall...the list goes on! 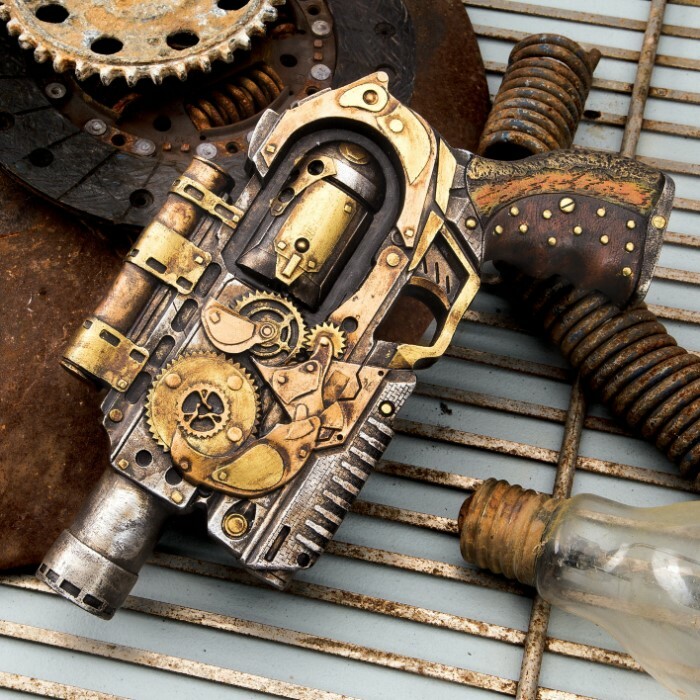 With its radiant color and distinctly steampunk blend of Victorian and futuristic design motifs, the Quantum Cannon is sure attract attention and spark lively conversation no matter where you display it! 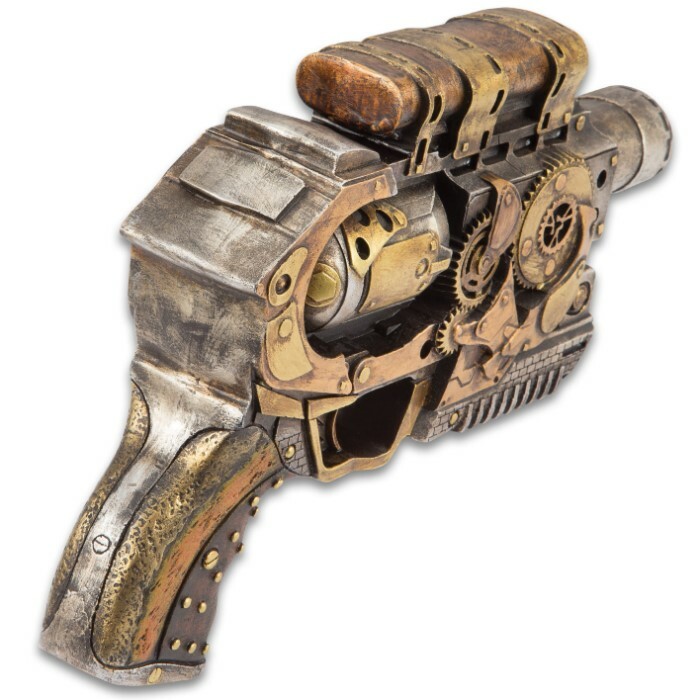 In the war on dull, lifeless home or office decor, the Quantum Cannon is the only weapon you need in your arsenal! Order today and stay strapped!